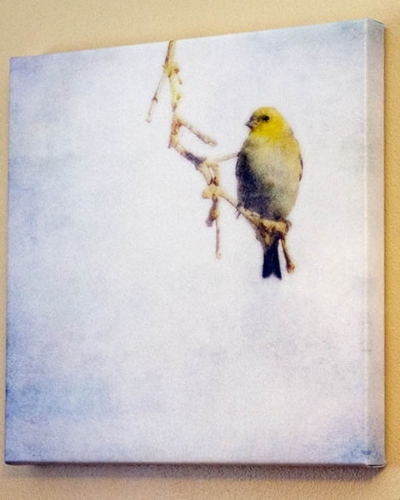 Canvas wraps are printed directly onto museum quality canvas material using high quality archival inks. They are then wrapped and secured around a stretcher frame, and a laminate is applied to protect the surface of the print and to provide UV light protection. Canvas wraps arrive ready to hang with a wire hanger.